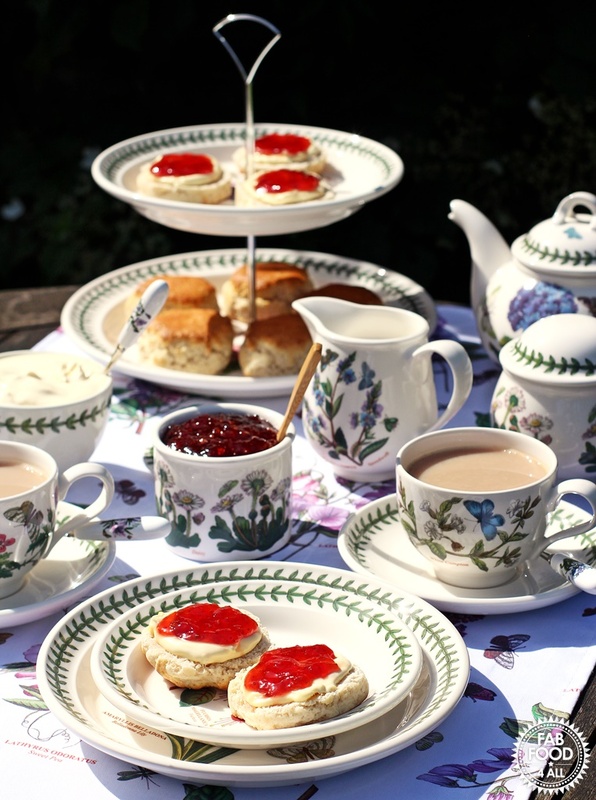 Today I’m sharing my Strawberry & Elderflower Jam with you to celebrate what would have been the founder of Portmeirion Pottery, Susan Williams-Ellis’ 100th birthday (6 June). If you follow me on Instagram you’ll know that I love flowers (#floweroftheday) so I was thrilled when Portmeirion asked if I would like to create a flower themed recipe for the occasion. Flowers feed our eyes with wonderful visual stimulation but they can also feed our appetite. 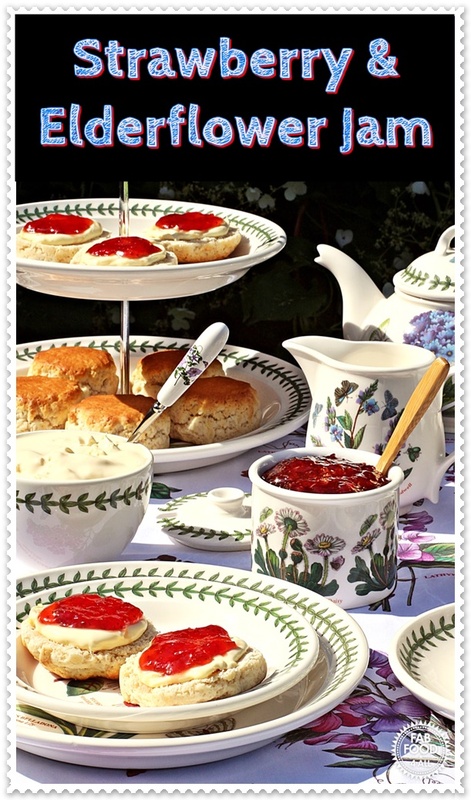 With this in mind I thought a cream tea with Strawberry & Elderflower Jam served on Portmeirion’s Botanic Garden range would be perfect as elderflowers are very much in season right now! 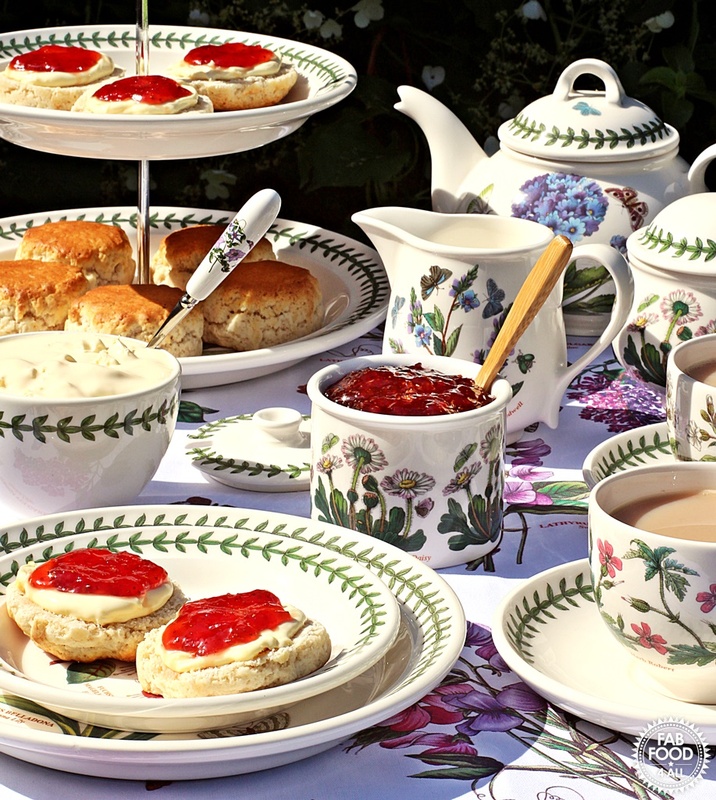 The top selling Botanic Garden range of ceramics has been around since 1973 and was inspired on a visit by Susan Williams-Ellis to an antiquarian bookshop where she came across 30 19th-century floral designs. 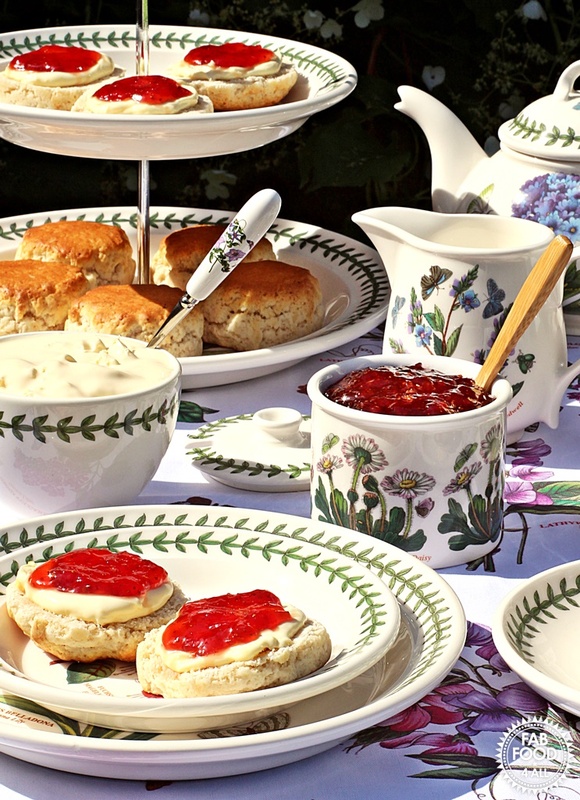 Susan was a trailblazer in the idea of mix and match tableware, championing the idea that not everything had to be uniform and so the Botanic Garden range came to be. Not only is it beautiful but it’s also very practical as it’s dishwasher, freezer and microwave safe and can also be used as oven to tableware! 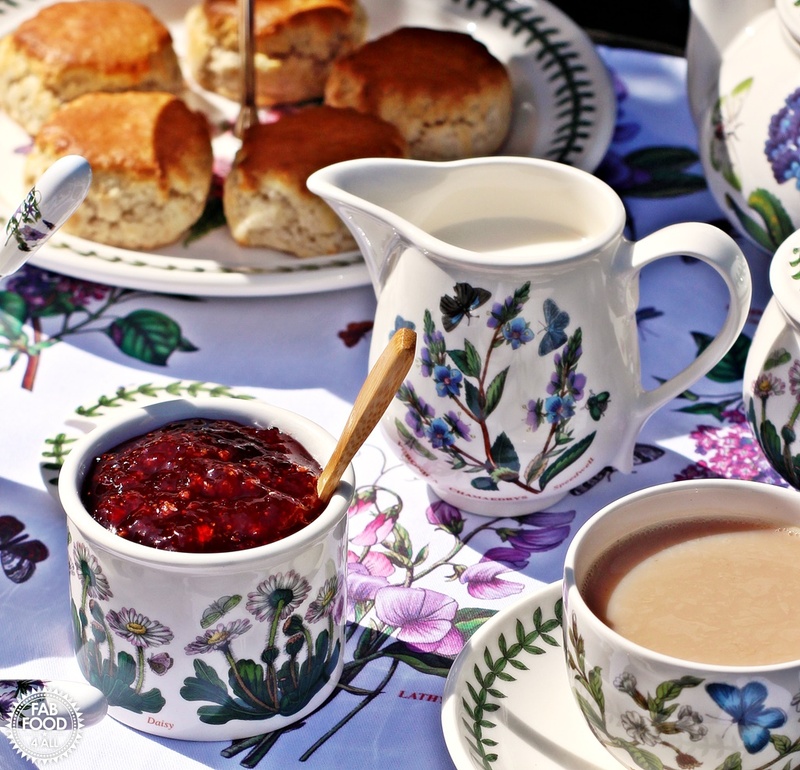 It will however smash if you drop it, which one of our wedding guests discovered when taking hold of a friend’s gift which was a beautiful Botanic Garden bowl and jug – I can still hear the smash now! Luckily for us the gift was replaced but I felt terrible for my friends at the time! 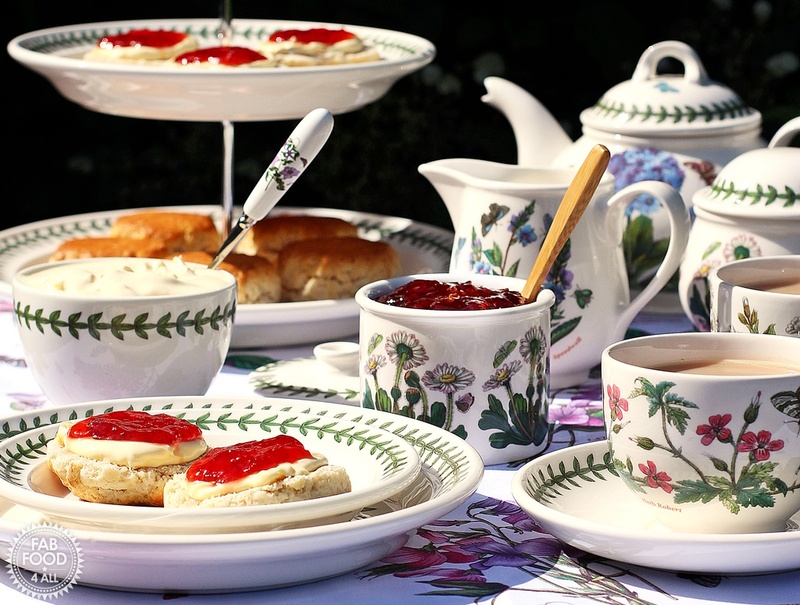 I’m not surprised that the Botanic Garden range is still a top seller today as the designs on each piece are just so beautiful and you can’t help but feel good when eating or drinking from them. 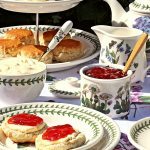 With so many pieces in the range you have every eating occasion covered and more. Sharing good food on beautiful tableware is one of life’s simple but important pleasures. I can still remember my mum serving tea and cakes on her Botanic Garden pieces. As much as we remember food from our childhoods, we also remember the plates etc that we ate it from! So back to the Strawberry and Elderflower Jam! When picking elderflowers be sure to look for ones that are well away from traffic and you want flowers that have just opened ideally. To get rid of any bugs give them a good dunking in water and spin dry in a salad spinner if you have one. Use your elderflowers on the same day as they are picked as you want them as fresh and fragrant as possible and that also goes for the strawberries, the fresher the better. 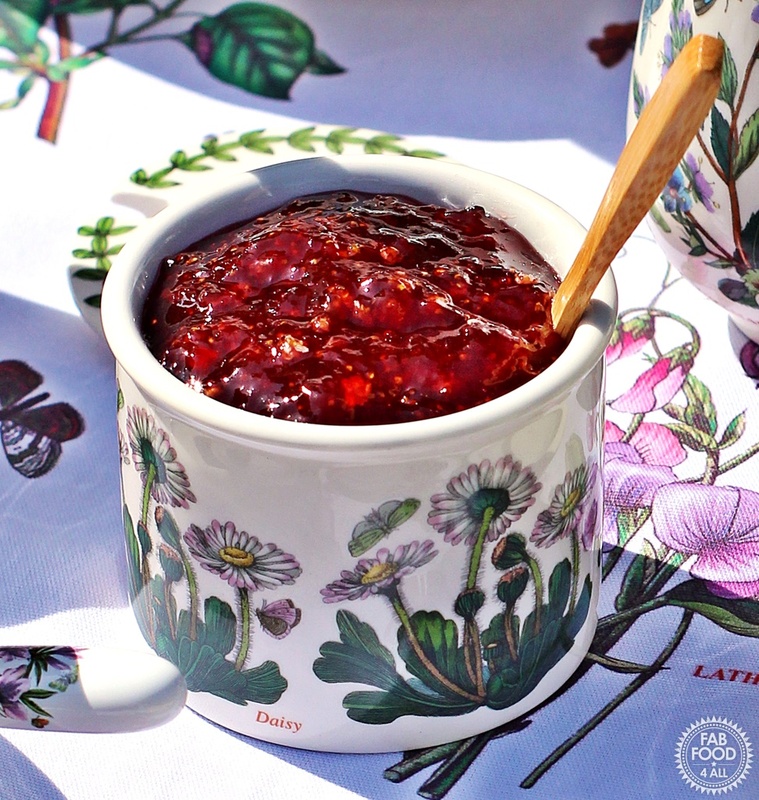 A vibrant strawberry jam flecked with elderflowers, perfectly suited to a summer afternoon tea of scones and clotted cream! Start off by sterilising 5 x 300 ml jars (see notes below) and put 3 saucers into the freezer for testing set. Add the strawberries to a preserving pan or similar and crush with a masher. Add the sugar and lemon juice and heat on low until the sugar has dissolved, stirring regularly with a wooden spoon (any crunching noises means the sugar hasn’t yet dissolved). Snip or pull the Elderflowers from the stems and stir into the strawberries. Then turn up the heat and bring the pan to a rolling boil and stir constantly to avoid burning. After 14 minutes of boiling take the pan off the heat place a few drops of the hot jam onto a chilled sauce and put into the fridge for 30 seconds. Remove and push your finger through the jam. If a gel like crinkle occurs then the jam is ready, if not continue boiling for another 2 minutes at a time until a set is reached, repeating the test. Once ready, pot up the jam into the hot jars and seal immediately. Once cool, store in a cool dark place and keep in refrigerator once opened. Makes a little over 4 x 300 ml jars. Sterilise jars by washing in hot soapy water (or take straight from dishwasher), fill with boiling water, empty and then place in oven for 20 minutes at 140°C where you leave them until the jam is ready. Washed lids should be sterilised with boiling water and then left to drain. NB: This is a sponsored post for Portmerion, all opinions are my own. Thank you Candace, there’s always next year. If you can’t find Elderflowers try doing a shout out in a local Facebook group, that’s how I found mine after local trees had been chopped down!